Set in the Cheyenne Mountain foothills of Colorado Springs, The Broadmoor Golf Club is consistently ranked among the best in the world. Our two iconic courses were designed by some of golf’s greatest names, and have played host to numerous national tournaments, including the U.S. Women's Open and PGA Cup Matches. Presidents, politicians, celebrities, and many of the game’s greatest athletes have all played at The Broadmoor, and our distinctive courses have challenged them all. Experience The Legend for yourself and discover why The Broadmoor remains one of the world’s most celebrated golf destinations. Contact Broadmoor Golf Club at 719-577-5790 for more information and details on holding a golf outing at the course. 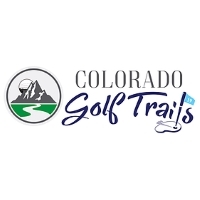 Contact Broadmoor Golf Club at 719-577-5790. Contact Broadmoor Golf Club at 719-577-5790 for onsite or nearby dining options. This profile was last updated on 01/08/2019 and has been viewed 6,763 times.